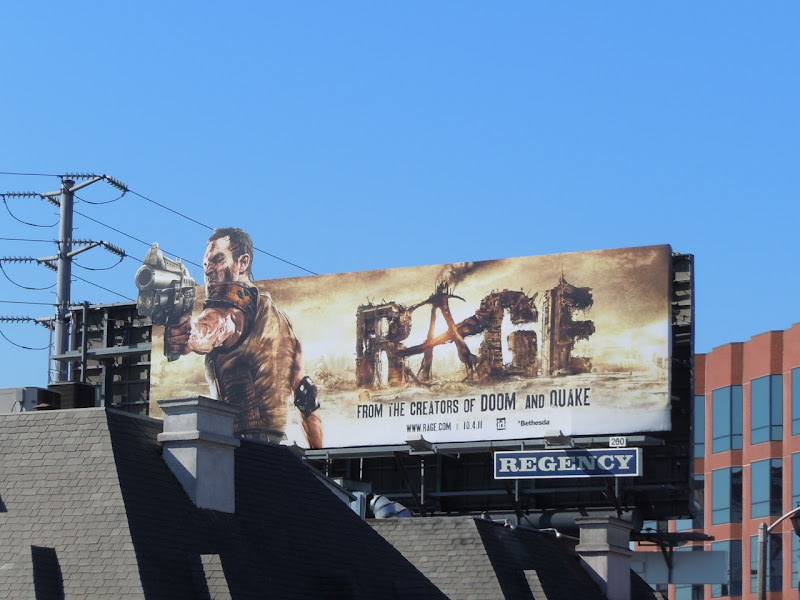 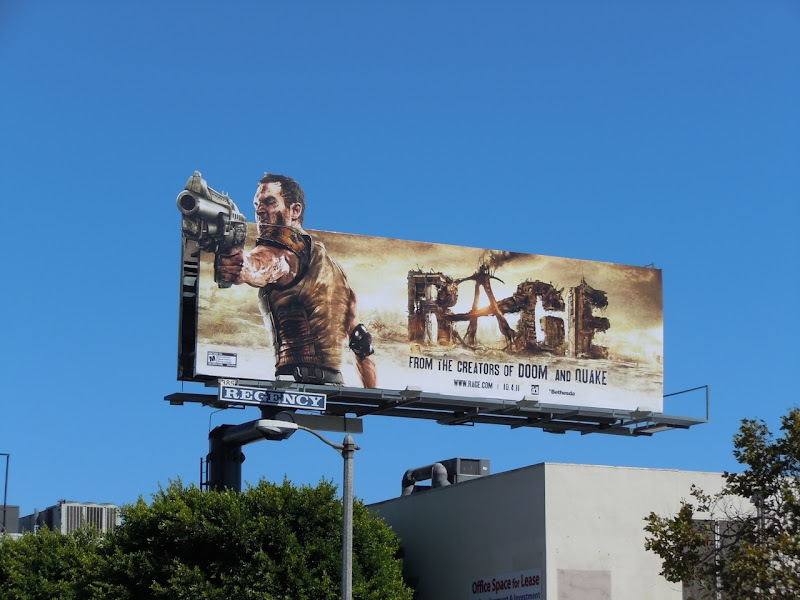 There's nothing like a gun-weilding apocalyptic soldier to grab your attention as you drive along and this billboard for new video game, Rage, certainly does that. 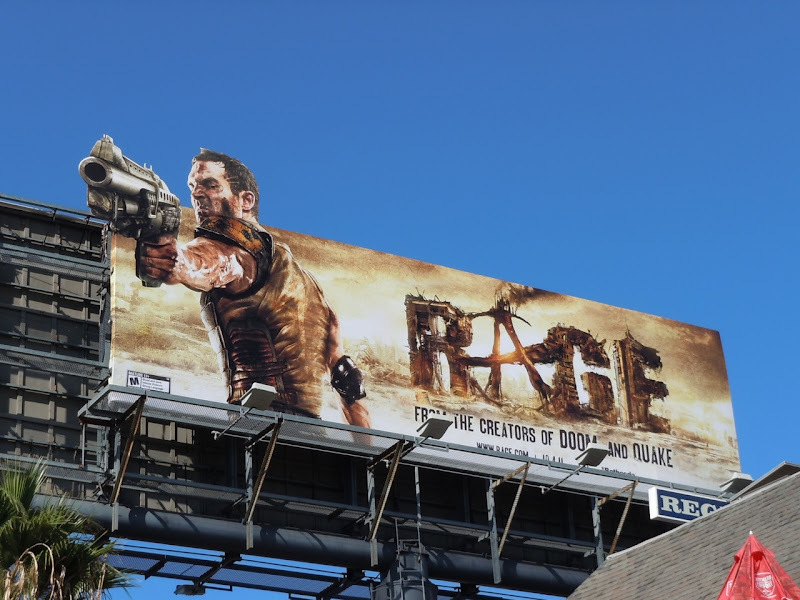 Not only do the special extensions help the billboard stand out, but the colour scheme also helps this creative pop against that lovely blue Californian sky. 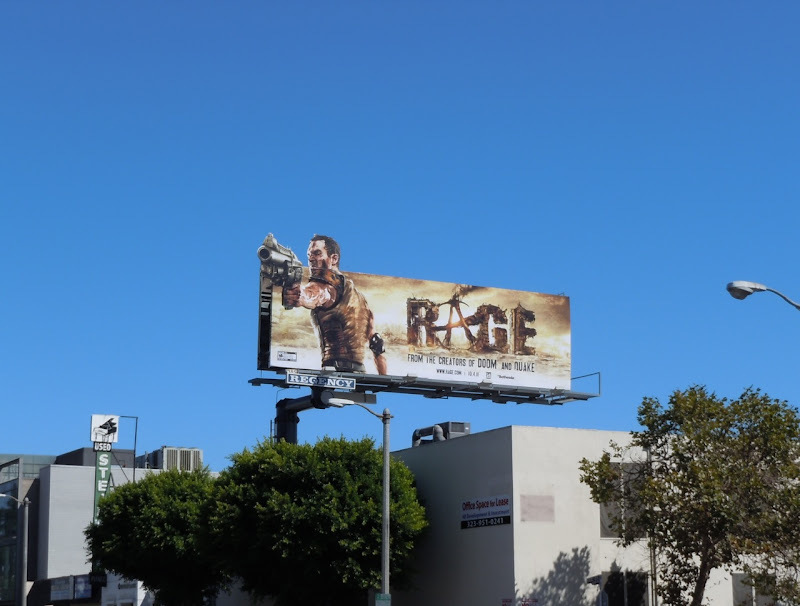 These Rage billboards were snapped along Beverly Boulevard and Sunset Boulevard on September 8, 2011. 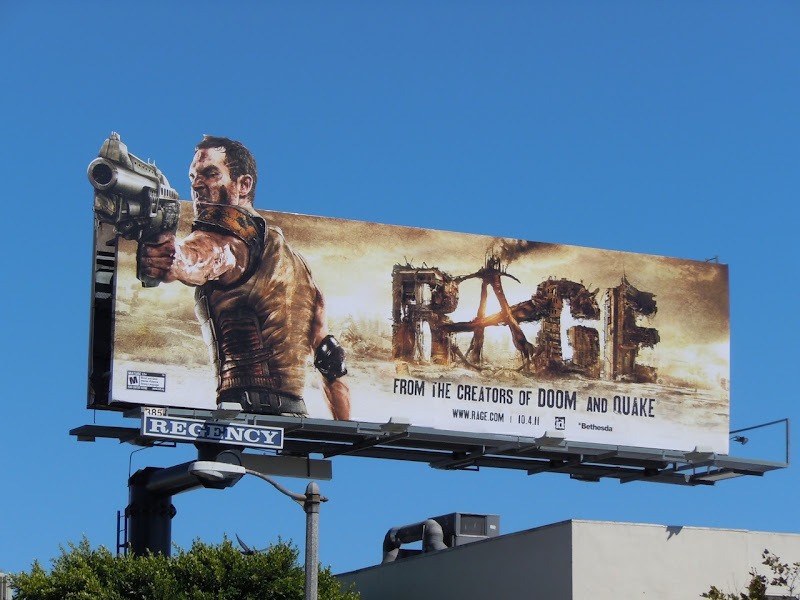 If you like this, be sure to check out these other cool video game billboards from around L.A. here at Daily Billboard.